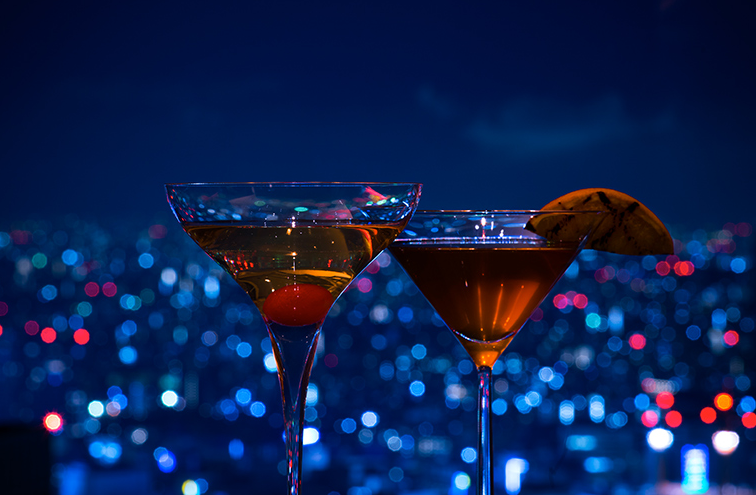 Nice hotel bar with an awesome night view, on the 52th floor of Shinjuku Park Tower (Park Hyatt Tokyo), connected to NEW YORK GRILL. This bar was used in the movie Lost in Translation. 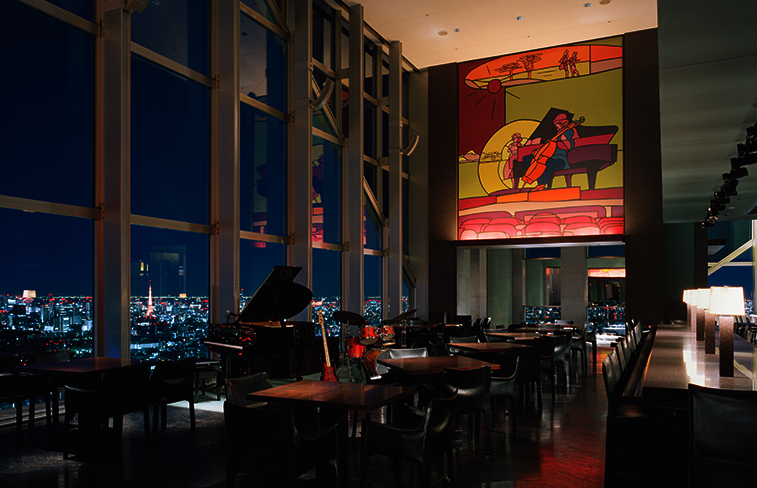 Jazz concert takes place every night (from 20:00), luxurious atmosphere, good place to bring someone with. Can be expensive and a bit too far to walk from Shinjuku station, but it'd be nice option to spend a night if you stay at a hotel in the Nishi-Shinjuku area.